A little while back, I received the strangest text message I have, and likely ever will, receive. It was my father, who was texting to let me know that the racial identification of my three sons, his grandsons, had officially changed. What it means beyond that is really up to you. 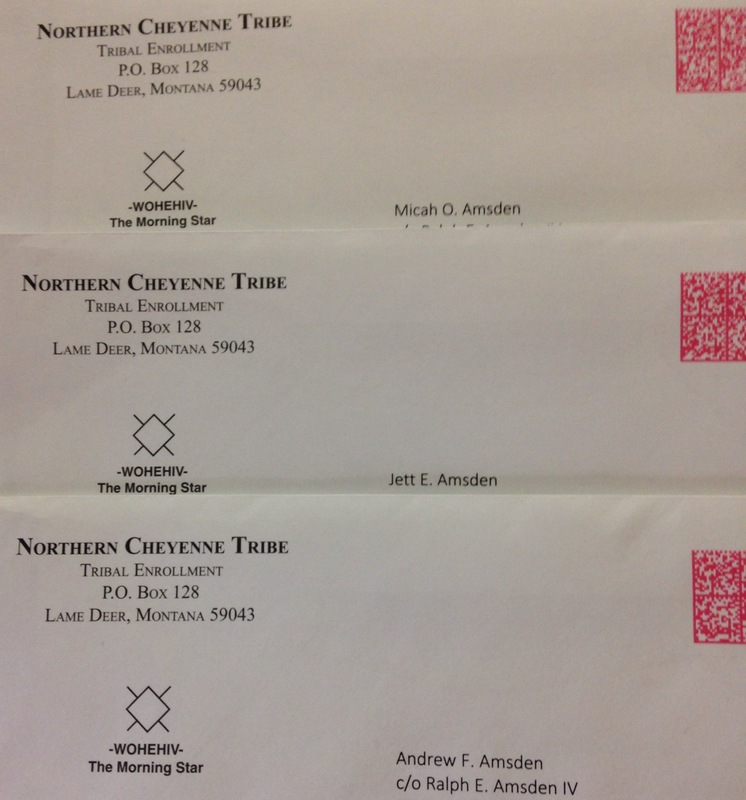 Recognition as a member of the Northern Cheyenne people is an incredible privilege. They are a beautiful people with a wonderful culture, and a history abundant with adventure, tragedy and perseverance. I advise you to embrace this part of your history and heritage by choosing to learn as much you can about the people who now claim you as kin, but make sure not to let the association define who you are as a person. My hope is that you can be enriched by the diversity this will expose you to, but that you also not become weighed down by the burdens and pitfalls that can come with identifying yourself as anything other than just another person on this giant rotating space ball. I also want you to make sure that you know that this is not a badge meant to be used to impress, or an excuse to engage in sanctimony. Though a descendant of one, you are not a chief. You did not battle Custer. You are not a tribal warrior. You are still middle-class white kids from Phoenix. I swear on my life if you use this for attention I will make you go to school in full war paint and a headdress for an entire year. This heritage isn’t something something to be trifled with- Natives are the most underrepresented group on American soil, and you need to be sensitive to the burdens and stereotypes they face… and you need to do that in a way that is both forgiving and graceful toward every single person you know. I can guarantee this- your friends and acquaintances will all make some type of joke that has to do with smallpox, tomahawks, rain-dances, tee-pees, scalping, totem poles, buffalo, bows and arrows, horse-theivery, alcoholism or casinos. They will do this in front of you, because you are not partially black, hispanic, asian or any other race/color that they have a modicum of respect for or fear of. Let it go. If I tossed to the side anyone who made an ignorant and uninvited observation on tribal matters, I’d have zero friends. They don’t know better, and it’s not your fight (Unless they insult fry bread. If that happens, it’s on). Just do your best to not perpetuate any of that horseshit. Understanding what, if any, impact the decision by the NC Tribal Council means for your future is going to take much more than just this letter. I’m looking forward to working through that with each of you.